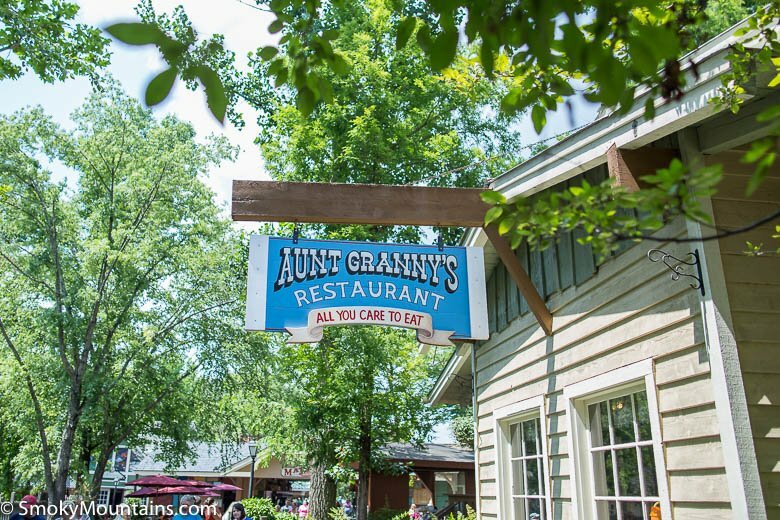 Aunt Granny's All-You-Care-To-Eat Buffet is the perfect place to escape the outdoor elements and chow down on a good variety of food. 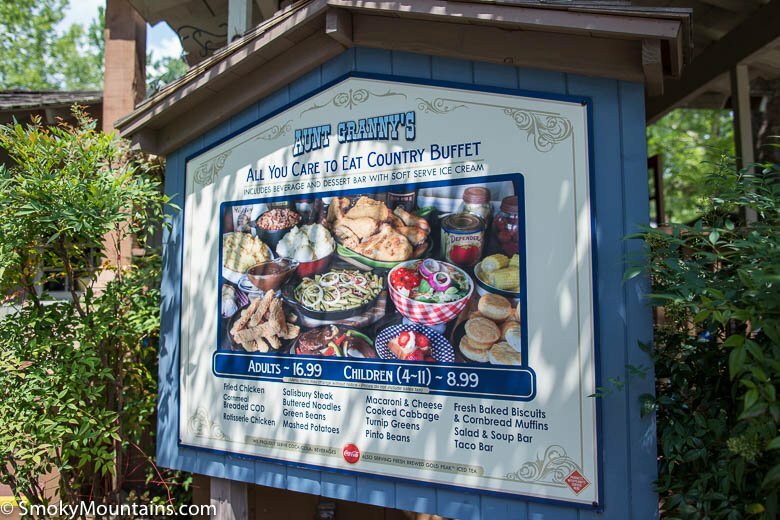 For a famished Dollywood visitor, the value is exceptional and the quality is on par with other area buffets (similar to a Ryan's or Golden Corral). 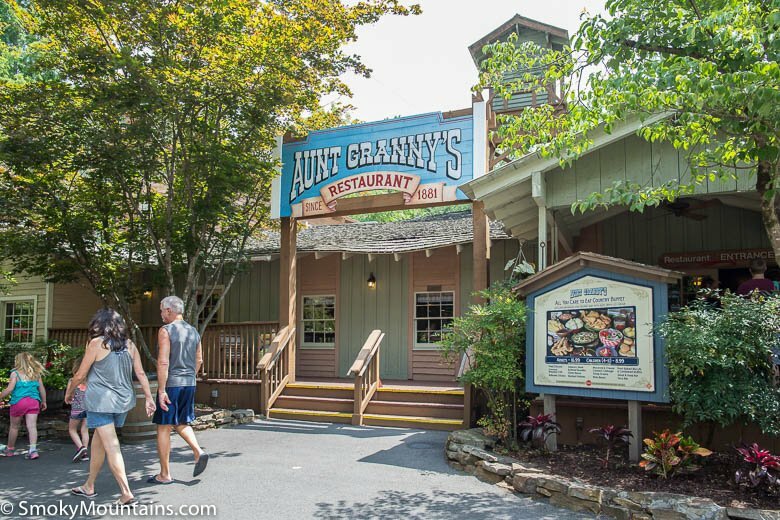 Aunt Granny’s All-You-Care-To-Eat Buffet, which is located in the Rivertown Junction area of the park, has a wide range of dining options that is sure to please! 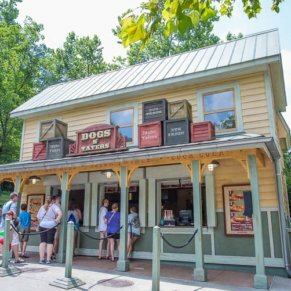 This Dollywood eatery includes a hot bar, salad bar, dessert bar, and taco bar. 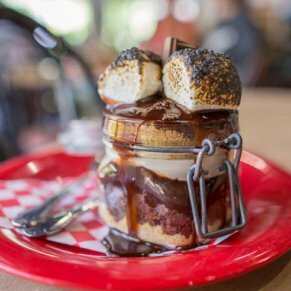 In addition, both hot and cold drinks are included with your meal. If you happen to be here when the fresh fried chicken comes out, do yourself a favor and grab a plate! The chicken is crispy, moist, and perfectly seasoned. 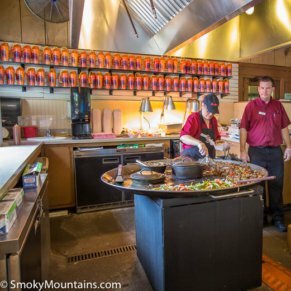 While most folks just make a traditional taco, we recommend combining the Taco Bar with the salad bar for an unbeatable taco salad. On a hot summer day, the fresh salad bar is difficult to beat! 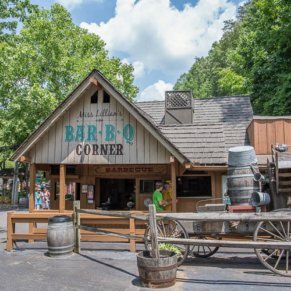 On any given day, you can expect to find mashed potatoes, green beans, biscuits, cornbread, salisbury steaks, fried fish and other southern favorites. 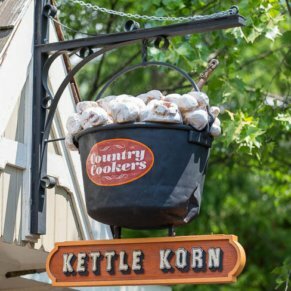 Looking for a sugar overdose and some southern sweet tea? This is the place! 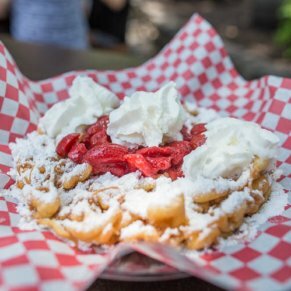 If you are from the northern states, do yourself a favor and mix it half-and-half with unsweet. This stuff is the real deal. We found the wait staff attentive and friendly. If you are hungry and ready to rest a while, this is the restaurant for you. 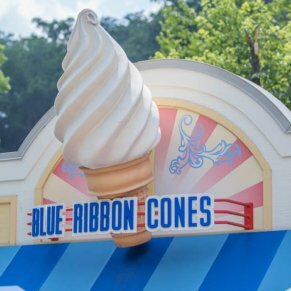 Save up your appetite and the value is definitely there.